Looking for a stylish setting with quality cuisine to hold an event? The Bindoon Bakehaus is your answer, offering catering and a venue for both private and community functions. With years of experience in event catering and management, the Bakehaus can make your planning easy with a diverse range of booking options. If you have specific requirements in decorations and entertainment, the Bakery will do their best to fulfill your wishes. Bookings are generally held after hours throughout the evening (normally after 5pm). 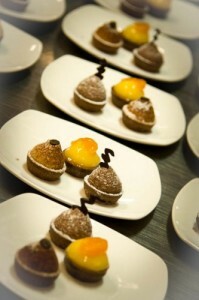 Day functions can also be catered for with a section of the Bakehaus reserved for this purpose. To date, the Bakery has hosted bookings for professional workshops, fundraising activities, Christmas parties, Networking Sundowners, Band & Dinner Dances and private celebratory events. If you already have your venue prepared and would like to book catering only, please go to our Catering page. For more information or to discuss quotes and specifications, feel free to contact our Functions Manager.